When it comes to finding a stylish bargain, head to stores where the college crowd shops, that's a good way to find items that are on trend and cheap. Sure, some of these items won't last for 50 years, but the way we change our minds, it's not a big deal to recycle items you tire of after awhile via your local thrift shop. Especially when it comes to accessories. We change them like underwear anyway, let's face it. 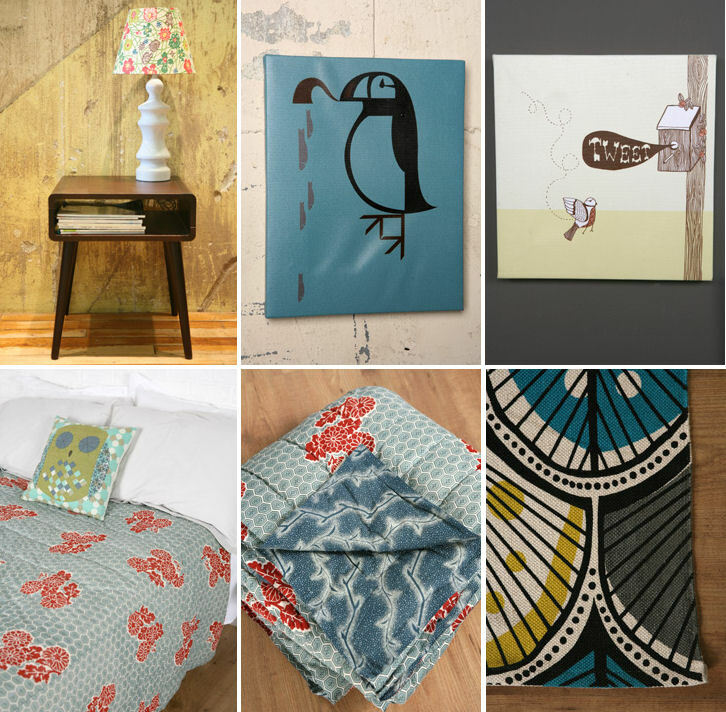 Great danish modern side table for $120, puffin art by eleanor groych for $12, tweet art from kate sutton for $12, pretty reversible imari quilt for $100, and a woodcut feather printed rug $28. I'm loving these fun Eleanor Groych pillows (isn't she the best?). A quail, owl, and a sandpiper for only $24 each. 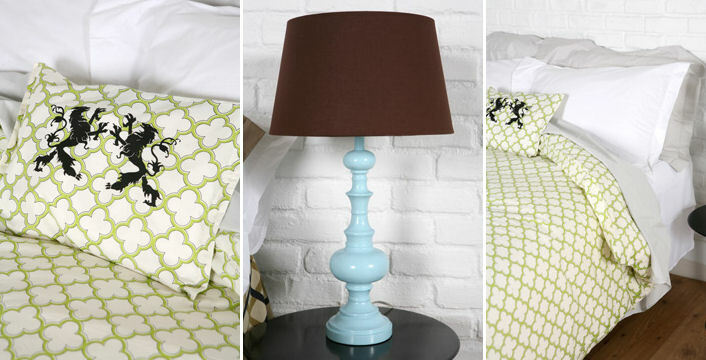 I like this lattice duvet for $60 and great lacquer-blue lamp for $36, too. 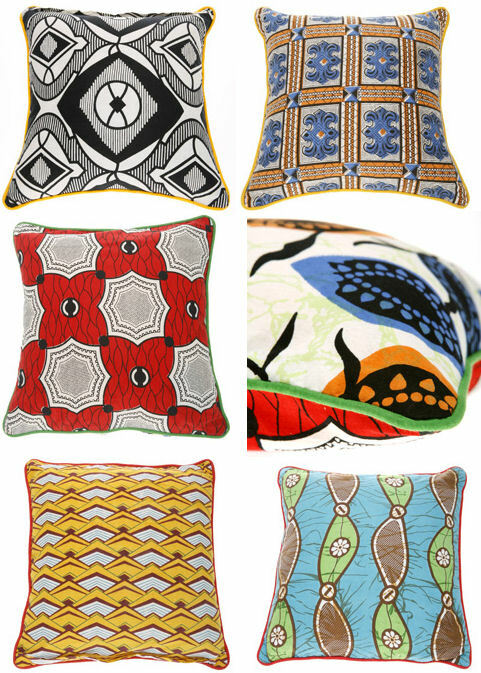 Here are some more pillows - 4 priced at only $20 each that are really 8 because each is reversible (malawi lake, red mosaic, zig zag, and the diamond ring). Love that -- double duty on a budget! And... (Drum roll please.) I've saved the best for last. 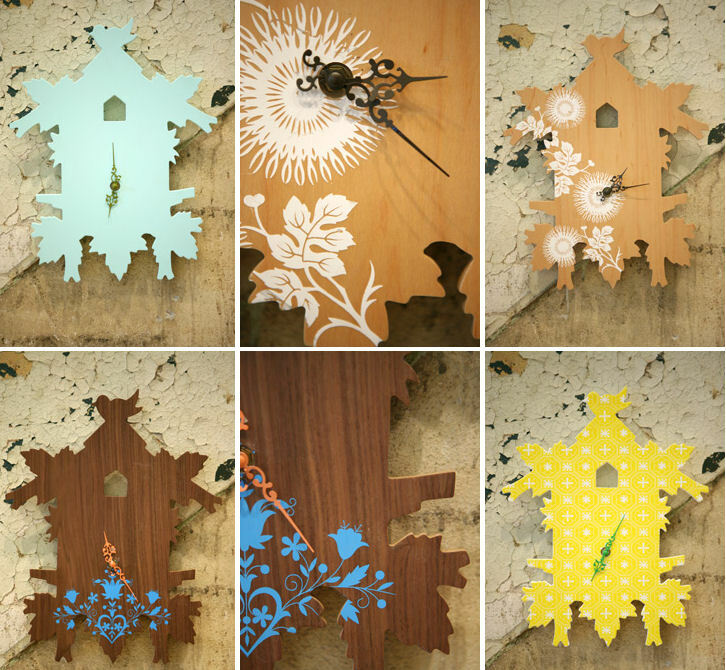 Four fab silhouette cuckoo clocks in great patterns and colors (I love the natural faux bois with the white floral pattern) for only $32!